Pimpin’ ain’t easy. So stay comfortable doin’ it in this Royal Pimp Bath Robe. Made from heavyweight 100% polyester, the black, soft bathrobe features an open front, attached hood, front hand pockets, and a tie belt. The bath robe is detailed with a black and white zebra print on the sleeve cuffs, front pockets, a trim on the front opening and hood, and tie belt. The word “PIMP” is sewn on the front left chest in gray and lavender. The word is topped with a gray crown and small rhinestones. A larger version of the pimp/crown patch is sewn on the back of the robe. 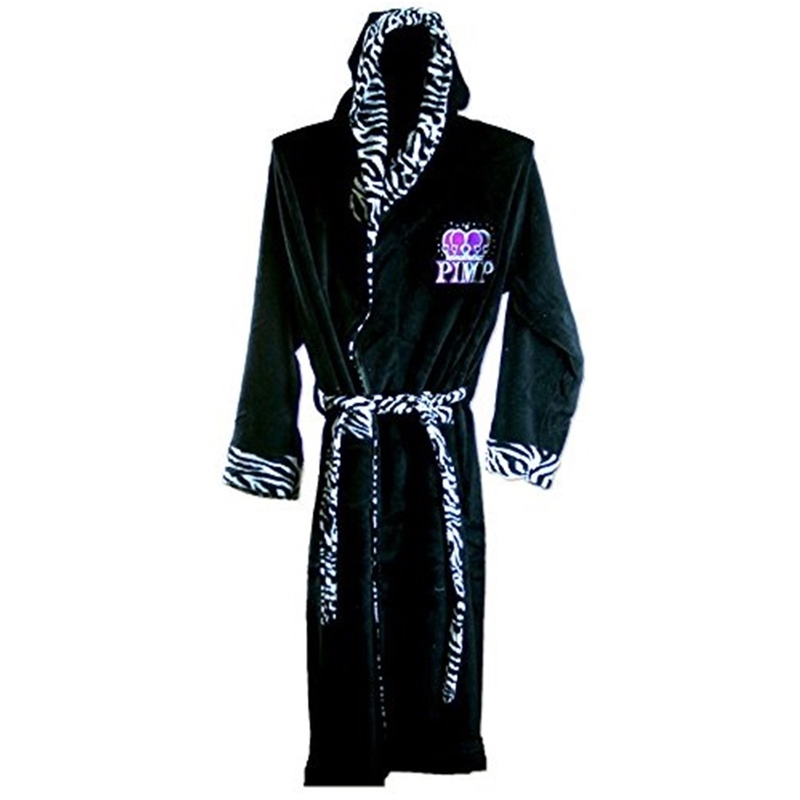 Do it right in this Royal Pimp Bath Robe this Halloween or fun everyday wear. Machine wash with like colors, Do not bleach, Tumble dry on low heat. Wash before first wear.